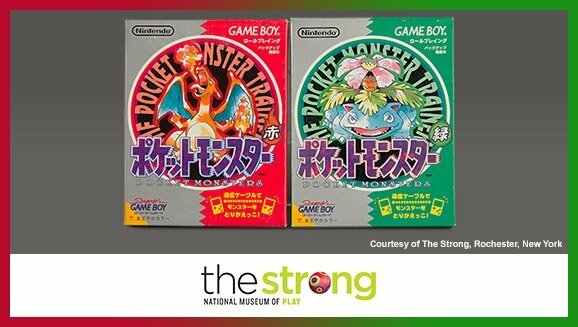 The World Video Game Hall of Fame has been up and running for three years now, which is organised and run by The Strong museum in Rochester, New York. Its third intake of games has now been confirmed, with two Nintendo-published titles making the cut among four inductees. There were 12 finalists in total, with Wii Sports among those to miss out this time; you can see the four winners below. Street Fighter II is technically still current, of course, with the upcoming release of Ultra Street Fighter II: The Final Challengers on Nintendo Switch. More solid additions, we'd suggest. Let us know what you think of these inductees in the comments. Can't really argue with that list,they're all iconic games that inspired so many. All four games are definitely deserving of being in the hall of fame. They all innovated the industry in one way or another. "Donkey Kong, Pokémon Red & Green and Street Fighter II Belatedly Inducted Into World Video Game Hall of Fame"
...Donkey Kong, at the very least, should've been in from day one! All of those were influential games. Pokemon is still going strong, DK and Mario (Jumpman) are still Nintendo icons, and Street Fighter II is still my favorite fighting game. I haven't played Halo, but going by the franchise's popularity, it also deserved to get in. I can't stand Halo (tedium in the form of a "game"), but to each their own. ...I thought they were already there? Seriously, I thought I read about this months ago elsewhere. Anyways, all great games that effected the console landscape and had a notable pop-culture impact to them. Not sure who would argue against any one of them. Congrats to all four of them. Finally, Pokémon gets in! I remember reading about it missing the cut a while ago... The game's mechanics may be outdated, but it's still super fun to this day and definitely deserves its place because of its impact on (late) 1990's culture. From what I saw all the nominees deserved it, really. @sillygostly I always found the subtitle "Combat Evolved" pretty disingenuous and cocky. Even at the time it came out I didn't get the hype. It's always been a run of the mill FPS series in my eyes. But, I agree, to each their own, and it was clearly influential. @CrazedCavalier You're probably remembering a story about the 12 finalists. These are the four selected above the other 8. Darn. I was really hoping MYST would get in. Oh well, Donkey Kong, Pokemon and Street Fighter II probably deserve it more anyways. Here's hoping for next year! Never had experience with the Halo series, but eh, I'll let it slide. Not really surprised at Halo but I think maybe Goldeneye would be a better pick for an influential FPS. Great to see SF II and Halo get in, those are among my all-time favorite games, with SF II actually being my favorite fighting game, ever. Surprised Wii Sports missed the cut. It had its flaws but there's no denying its influence and bowling was extremely fun. It also led to us getting Wii Sports Resort which was a fantastic collection of mini-games. @RazorThin Halo's definitely aged better, though I came to Goldeneye for the first time in 2017 and found it enjoyable. I feel the same about Pokemon! In my opinion Halo 2 should have been inducted because it was very influential to multiplayer shooters. lol at Halo: Combat Evolved blacked out in the list. 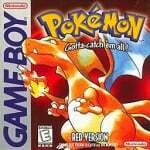 Pokemon was far from the first monster-catching game but it was certainly the one that popularized it. And you know, extending it to other forms of media. I haven't played much of Revelations: The Demon Slayer (the GBC version was translated after Pokemon but it was originally a monochrome game predating it). Seems like a similar game but my experience with the chat to "negotiate" with monsters to join me feels about as much RNG as throwing balls at them. There was Megami Tensei before but in that seems you are supposed to treat your minions as nothing more than mutation fodder once they are too underleveled to contribute (as they have fixed stats and can't level-up). Pokemon had gone out of its way to encourage you to "befriend" them. Pretty significant distinction. At this stage in its lifetime, it could honestly add more than four games a year. All of the nominees will likely, at some point, find their way in. I didn't quite get why Halo made it in at first, but the explanation was more than valid (basically, one of the first shooters to become popular on console, launch of Xbox, online gaming). I'm as big a Nintendo fan as the next, but, if you're talking Hall of Fame, Atari (Arcade) games should be first and foremost. Halo is only in there to appease the drivelling masses. It's incredibly overrated, devoid of content, and has not aged particularly well either. There isn't a chance in hell that it stands on the same level as Donkey Kong or any of the other games listed. Ludicrous. @Pazuzu666 Atari may be influential, but many of the games are now near enough unplayable. I like the colours and sounds though. All five games are totally and utterly deserving, so congrats to all of them. Never understood the fuss about Halo. It's just a gaudy FPS with an unimaginative take on Starship Troopers. Some of the weapons were quite fun, but no more so than, say, Turok on the N64 (cerebral bore!). For influential FPS, it's hard to make a case for anything beyond Doom (already in the HoF), then maybe Counter Strike, for the multiplayer aspect, and Portal, which isn't really an FPS. I see Halo got in ahead of Final Fantasy VII and Portal. WTF? Can't argue with the other three though - they're seminal. Why is Elite not in there yet? @Krillin It pretty much single-handedly established the 3rd horse of the console scene after Sega bowed out, codifying the dual-stick control scheme and "two weapons only" deal for console shooters while having multiplayer that got people lugging their system link cables and Xboxs around to play with other people (XBL wasn't ready until mid-2002, and neither Bungie nor MS wanted to delay the game), as well as having expansive lore right out of the gate. @CrazedCavalier Ah, that''s a good answer. I never consider the importance of it being a Microsoft system seller because the series never grabbed me, but I didn't know it set the template for dual-stick controls. That is certainly significant. I'd still argue Counter Strike is the archetypal multiplayer FPS though. I remember strolling into internet cafes from China to the UK around the millennium, and everybody was playing it. It was on every PC. 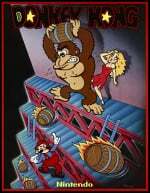 If Donkey Kong wasn't already in the videogame "Hall of Fame" then it can't be a very credible hall of fame imo. Not only should it already be in there but it should have been one of the first. That game blew the arcades and videogames up! Pretty good entrants, all. Hard to argue with 2015, at least. Halo and The Sims I could take or leave, but I guess they're significant. My question would be, where is Elite? Civilisation? And where are all the RPGs, P&Cs and strategy games? WoW is the only RPG so far listed, and that puts the MMO before the RPG. It was time Pokémon made it in. We're talking about one of the biggest crazes in the world, and its going strong still! Truly well deserved, alongside Donkey Kong. Never played Street Fighter or Halo, so can't really comment on those two. I think they should let more games in than they do while they are still getting going. Three years in and a lot of genres aren't even represented yet.